NOTE: Although this app is currently usable, National Geographic is no longer supporting it. Please download our new, updated National Geographic World Atlas app for iPhone and iPad FREE for a limited time. Designed specifically for the iPhone and iPod touch, National Geographic's new and improved World Atlas puts our best maps in the palm of your hand. 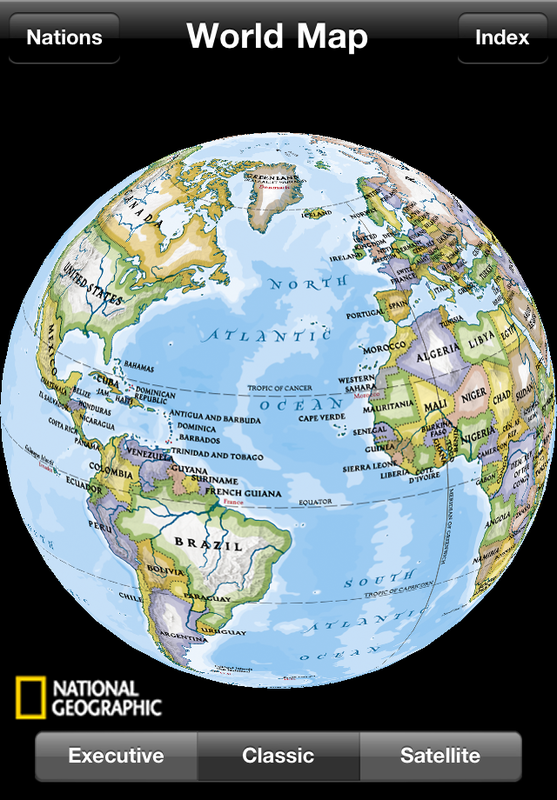 Unlike other map applications, the National Geographic World Atlas utilizes our highest resolution, press-ready images, providing you the same rich detail, accuracy, and artistic beauty found in our award-winning wall maps and bound atlases. 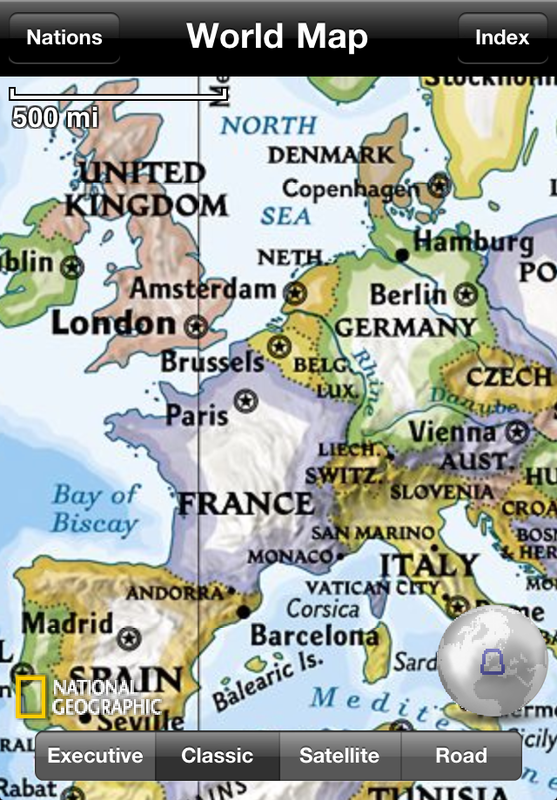 The app is preloaded with 3 different styles of world maps, down to country-level detail. With an internet connection, you can continue zooming through continent-level maps into detailed Microsoft Bing maps - close enough to see your home! Browse the world as you once did in your classroom with the new interactive 3D globe. Spin, pan, rotate and switch between three different map styles including our classic (blue-ocean), executive (antique-inspired) and satellite image. 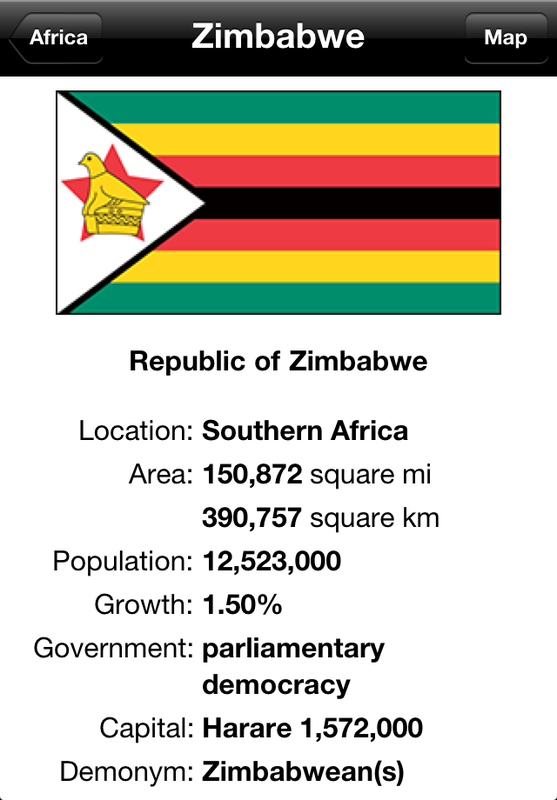 Learn more about the world around you using the up-to-date, expertly researched Flags and Facts database which contains concise geographic and socio-economic data plus recent updates to places like Southern Sudan. The new touch-and-hold feature makes learning about the Worldís nations and territories easier. 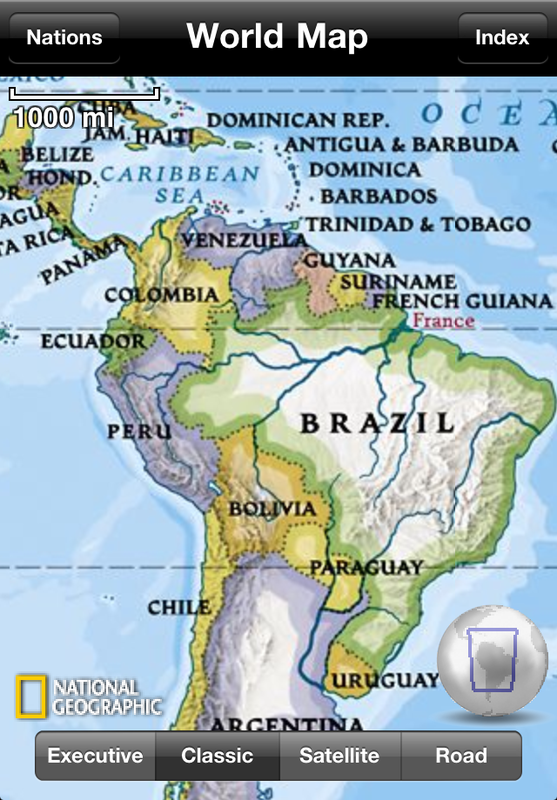 Simply touch-and-hold a place on the 3D globe or any map to pop-up the locationís flag-and-fact page. Bookmark your favorite places with push pins and notes. Center the map to your current position. 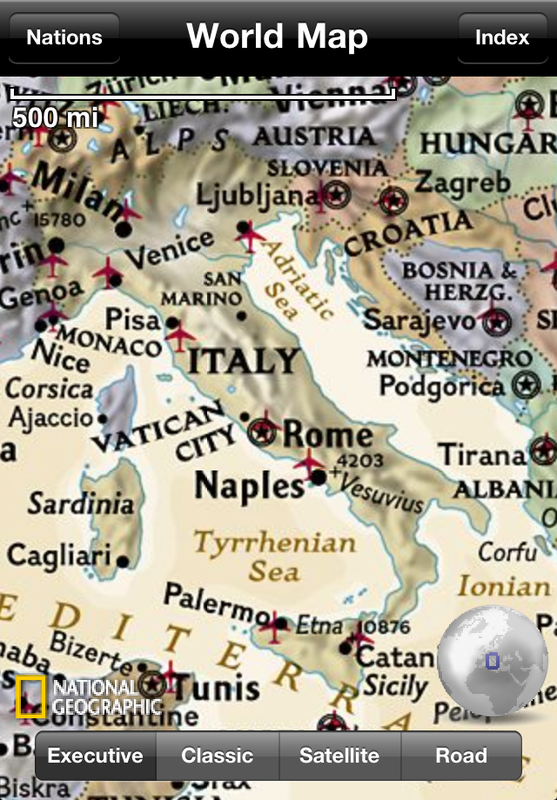 Find places by name using the built-in index of major world cities or the full online search of nearly 7 million places.